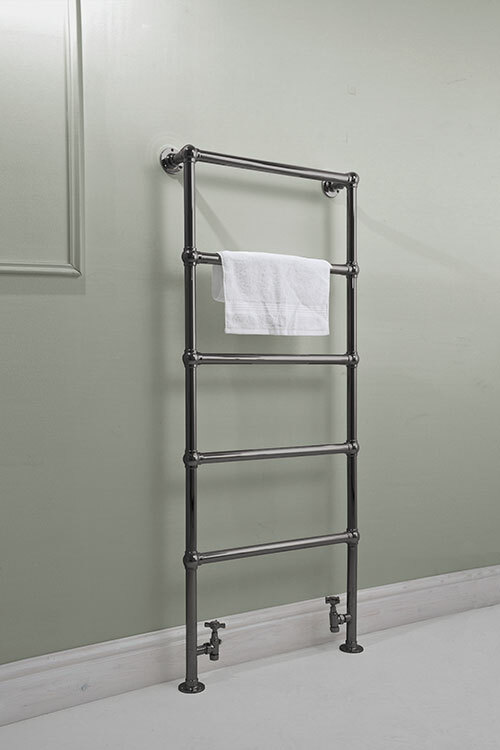 The Eden Black Chrome Towel Warmer is a floor standing ladder towel rail with ball joints. 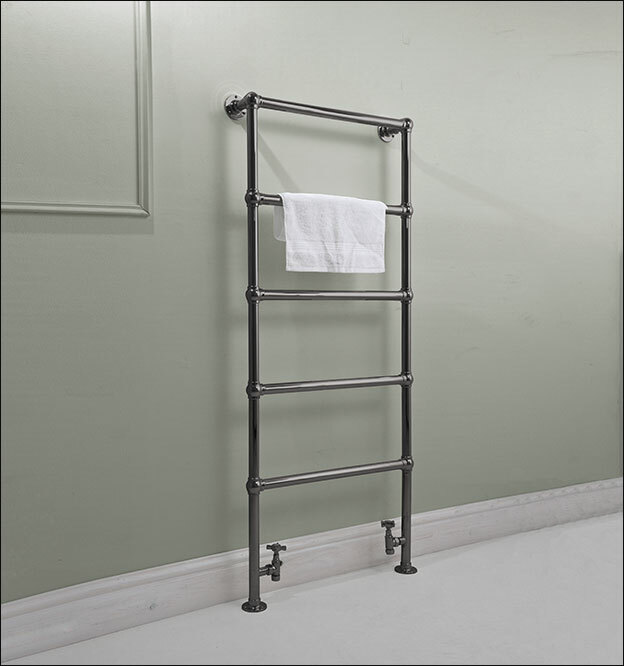 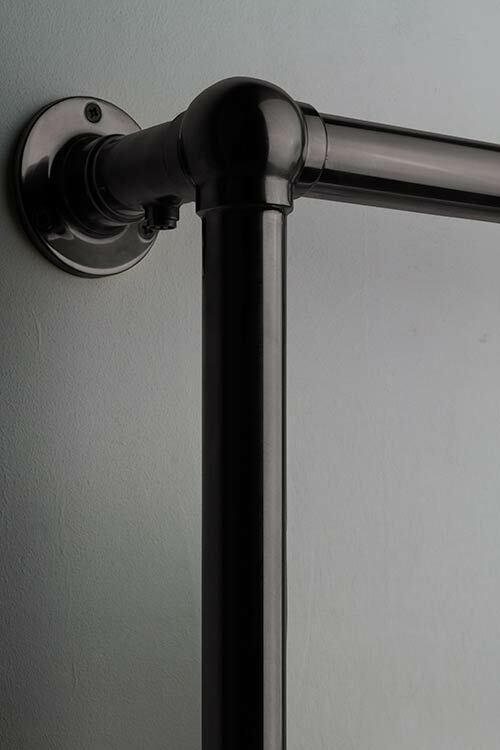 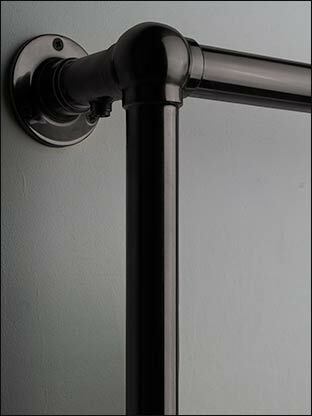 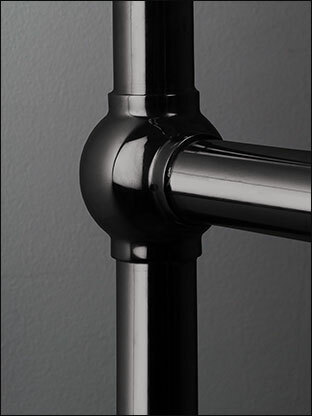 Made in high quality stainless steel with a black chrome finish, this towel rail is superior in quality and longevity. 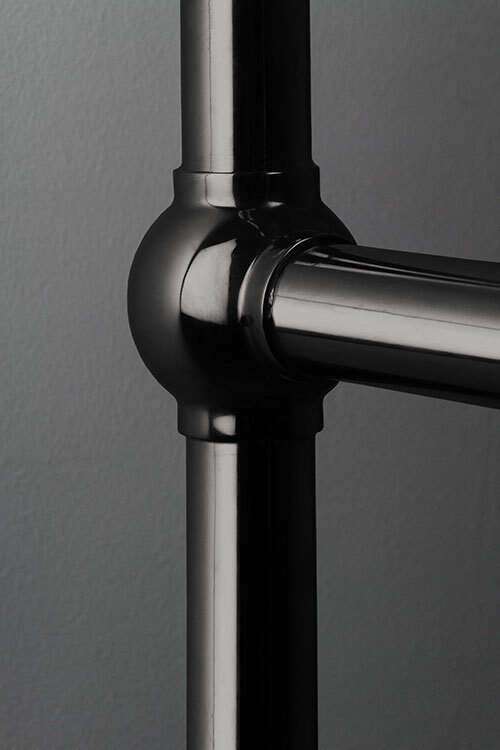 Electric only and dual fuel versions have the electric element hidden within the leg.